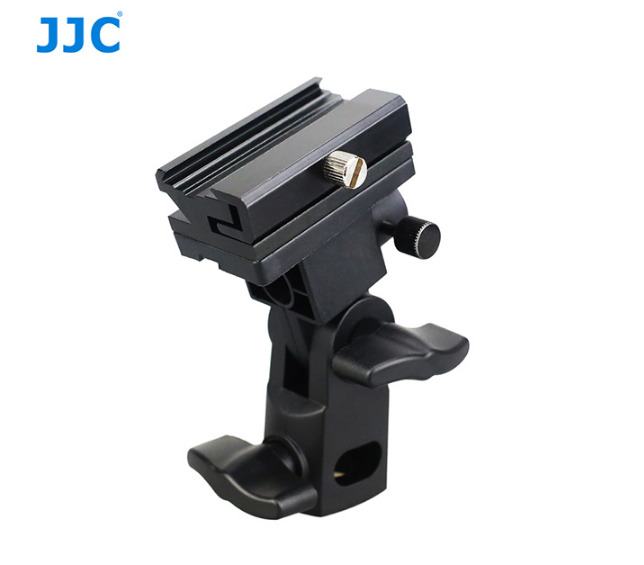 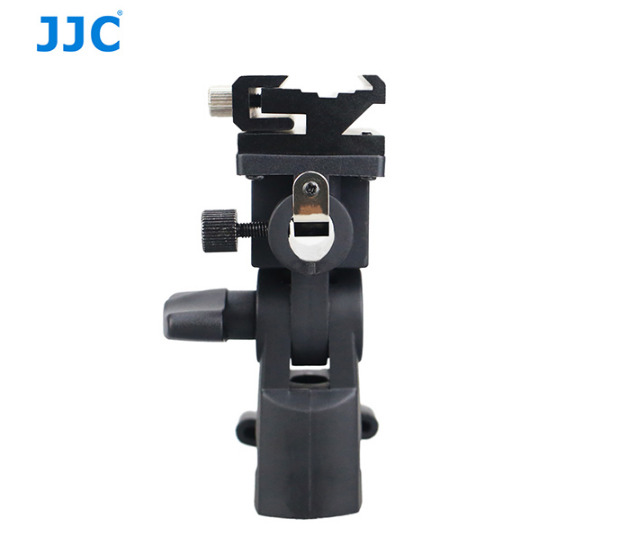 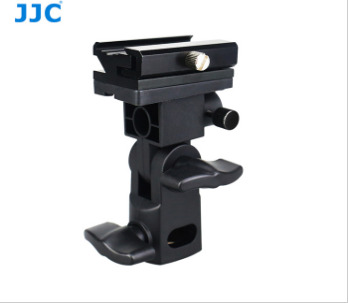 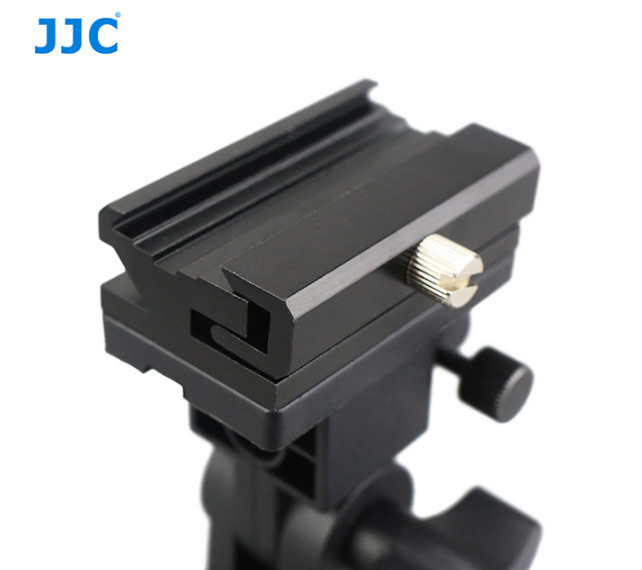 JJC FU-SOB Umbrella Bracket with Metal Shoe Mount can be attached to your light stand with 5/8'' stud. 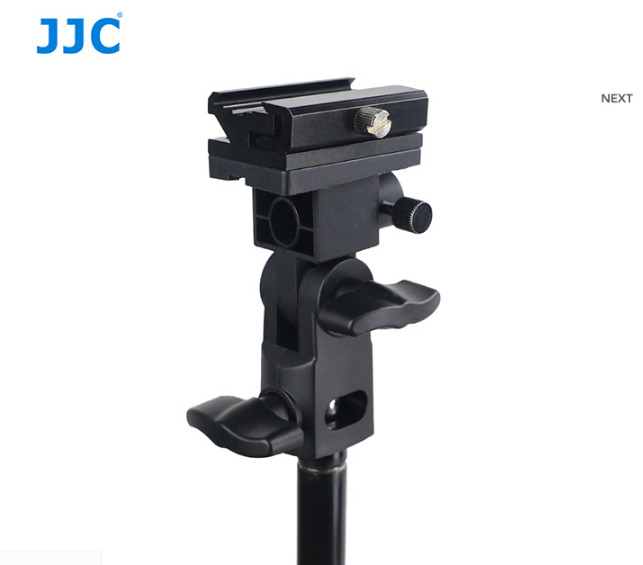 The shoe mount of the FU-SOB is made of durable aluminum material, while the rest part is made of solid nylon rather than ordinary ABS material. 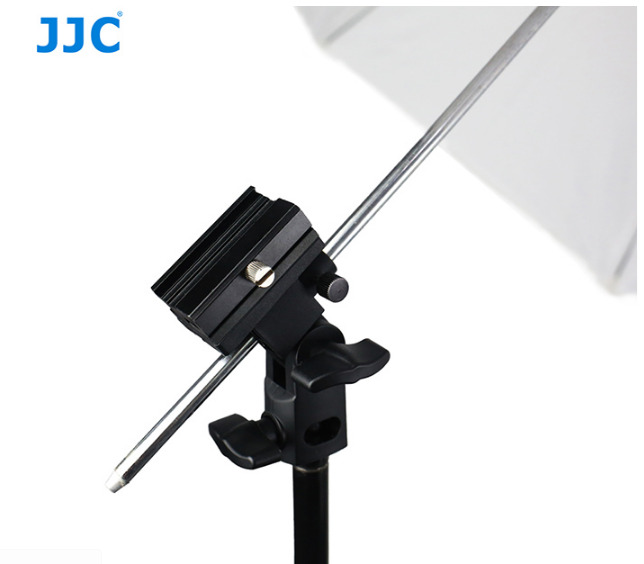 The hot shoe mount is adjustable for use with external flashes or other kinds of accessories with hot shoe mount such as LED lights, flash triggers, etc. 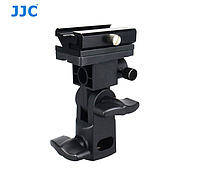 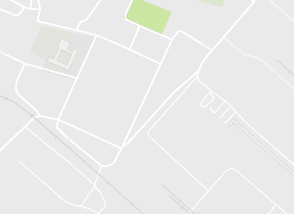 What’s more, the upper part of the bracket can tilt +/- 90°. 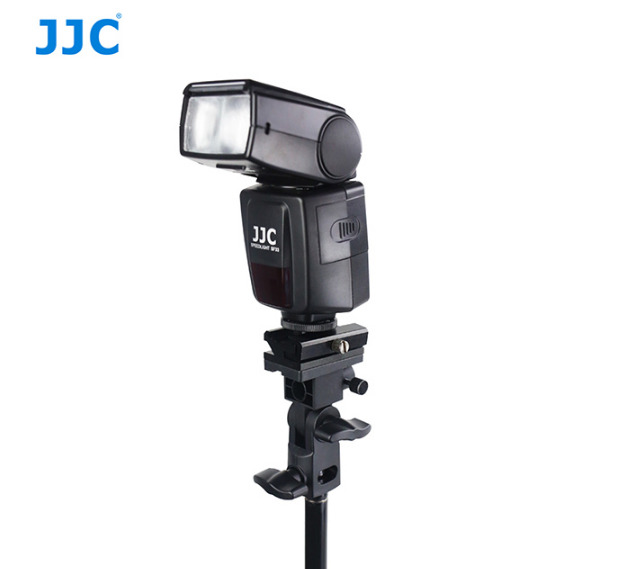 Just insert your flash unit and umbrella into the FU-SOB bracket and adjust your mount, so it is at an optimum angle for producing fantastic results every time.